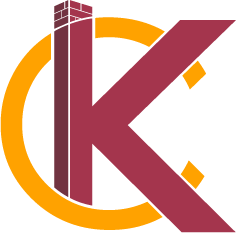 Handyman | KC's Improvement & Construction Co., Inc. Handyman | KC's Improvement & Construction Co., Inc. When you are looking for handyman services, odd jobs, or a contractor in the Greensboro, High Point, Reidsville, Winston Salem, Asheboro, Lexington, Thomasville, Kernersville, and Burlington areas, KC’s Improvement & Construction Co. is the right choice. Our staff of experienced professionals is skilled in a wide range of areas. We pride ourselves in being capable of tackling any project, no matter how large or small. If you own a commercial property, give us a call if any of the following areas need improvement. If you are a homeowner, check out our home repair services. We also offer an affordable handyman service agreement. A variety of problems can negatively affect your drywall and require sheetrock repair and/or painting. Leaky pipes, roofs, or appliances can cause unsightly water damage, which might become a mold problem if not properly addressed. Common household wear-and-tear, such as moving furniture, might also cause holes and other dents. Finally, you may decide to apply new drywall to a garage, fireplace, or other area. Whatever your drywall finishing needs, a KC’s Improvement & Construction Co., Inc. representative can speak to you about possible options. Read more. KC’s Improvement & Construction Co., Inc. specialists are skilled in a variety of carpentry repairs, construction, and installations. Trust us when it comes to building your new stairs, floors, door frames, cabinets, partitions, windows, walls, or rafters. Our carpenters are versatile enough to meet your needs, and experienced enough to provide solid craftsmanship that will last for years to come. Read More. Many households suffer from foundation damage, especially in the South where shifting clay can cause foundations to crack and settle. A damaged foundation can severely detract from your home’s value, not to mention cause a hazardous living environment, so it’s of utmost importance to address the problem as soon as possible. Call us right away if you suspect foundation damage in your home, and we’ll immediately get started on a solution. Read More. 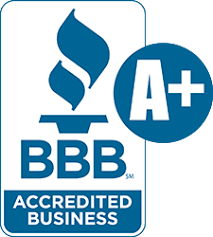 Although we specialize in large remodeling and renovation projects, we are more than happy to provide everyday home repair services and preventative maintenance checkups. From a broken light fixture, to a cracked driveway, to basic interior and exterior maintenance, we are more than capable of helping you out with the small stuff, too. Read More. Prior to beginning any work, we will be happy to sign a handyman service agreement that details the exact work to be done, the payment schedule, and other important details. Whatever your handyman needs may be, costs will depend a variety of factors, including time and materials. Give us a call today to set up an appointment in which we can discuss your options.